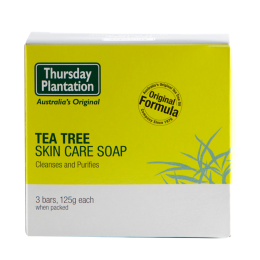 Thursday Plantation Tea Tree Soap removes dirt and cleanses and purifies your skin. Contains 100% Tea Tree Oil, an antibacterial ingredient. To order - select the pack size you would like using the buttons above and add to the cart. EnviroCare Body and Hair Cleanser - from $3.75! EnviroCare Sensitive Body and Hair Cleanser - from $3.75!